Cypress College’s 50th commencement, held May 26, 2017, attracted participation from more students than any other graduation in the college’s history. For a half century, Cypress College has been a springboard for our students to their dreams. Alumni have gone on to become actors, athletes, doctors, executives, auto technicians, nurses, educators, pilots, and business owners. Here you will find a premier community college that offers first-class opportunities for learning in a beautiful setting. When you decide to pursue your education, you commit yourself to building a foundation for your future. And, when you become a Charger, you elect to attend a college regarded for focusing on your needs as students. Spend a few minutes walking the campus, and you’ll find people offering hellos and directions. Cypress College is the perfect choice for pursuing your education. See why we’re proud of our students, alumni, and employees. 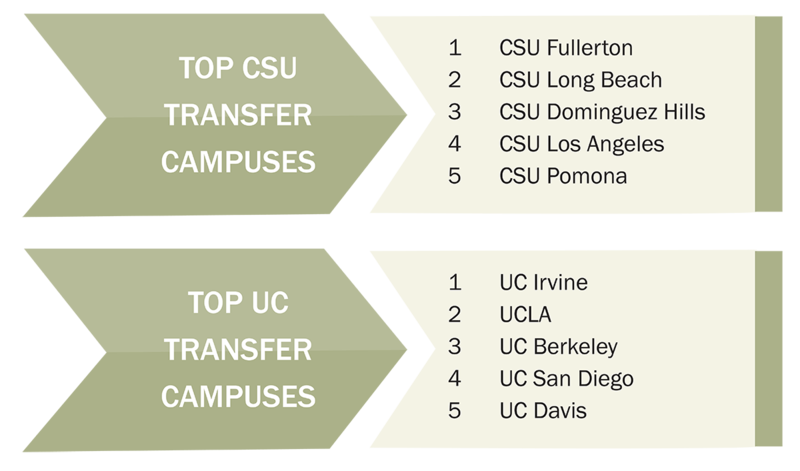 See why we’re proud of Julie (Cal State Long Beach), Jonathan (UCLA), Stephanie (Cal State Long Beach), Tiana (UC Berkeley), Eleese (Cal State Dominguez Hills), Jason (UC Berkeley), and Valeria (Cal State Fullerton). They’re just a small selection of the many Cypress College success stories. Read about them an other alumni in our #CYProud profile series.